Get Cheap Seagate Expansion 3TB USB 3 External Hard Drive for only $120 USD! Get Cheap Seagate Expansion 3TB USB 3.0 External Hard Drive for only $120 USD! This is the lowest and cheapest price so far with a $ 0.04/GB ratio. 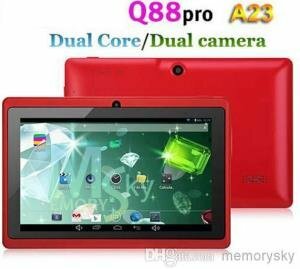 You can read the specifications and users review below. This is the cheapest 3TB external hard drive I could find and it’s already using USB 3.0 connection for faster and better connection speeds. Although an e-Sata connection would be much better, but for its price vs storage capacity ratio, I would say this one is the best so far. 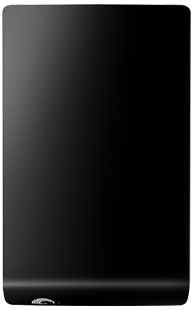 The Seagate 3TB Expansion External Hard Drive comes in a plane black plastic case. Simple but looks very neat and clean. You can see in the front there is a white Seagate logo and beside it is a small LED light power and busy indicator. Behind the Seagate Expansion 3TB USB 3.0 External Hard Drive is a USB 3 connection slot and a power input. The package includes a USB cable, a power adapter, quick start sheet and warranty card. It’s a very plain and simple packaging. The unit itself looks very plain and professional. It’s very easy to setup, just plug it in and your good to go. The Seagate Expansion 3TB USB 3 External Hard Drive also works on Apple computers. You just need to reformat it so that your Apple computer could recognize the device. There is no power button but it comes with a sleep function built into the external drive. You can adjust the length of time in the Dashboard of the software. The drive automatically goes into sleep mode when it is inactive for a certain number of minutes. Overall, the Seagate Expansion 3TB USB 3 External Hard Drive is a great external drive. Great for backups. 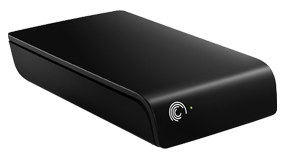 This is great for storing your large files like photos and HD videos or movies. You can grab one now. You can choose from 1TB, 2TB or 3TB. But I would suggest you get the 3TB for best price and storage capacity ratio.